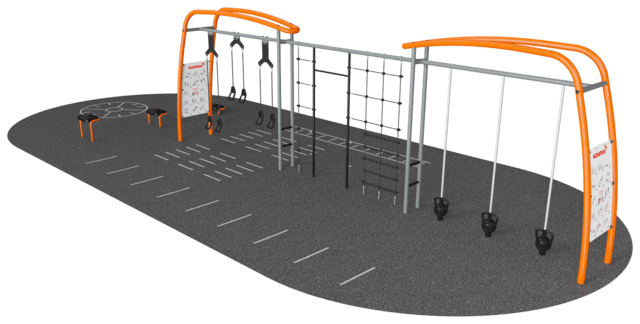 This solution is ideal for group training and social interaction, because many people can easily train side by side in this compact area. For trainers this means a fast overview, enabling them to offer support and guidance where needed. 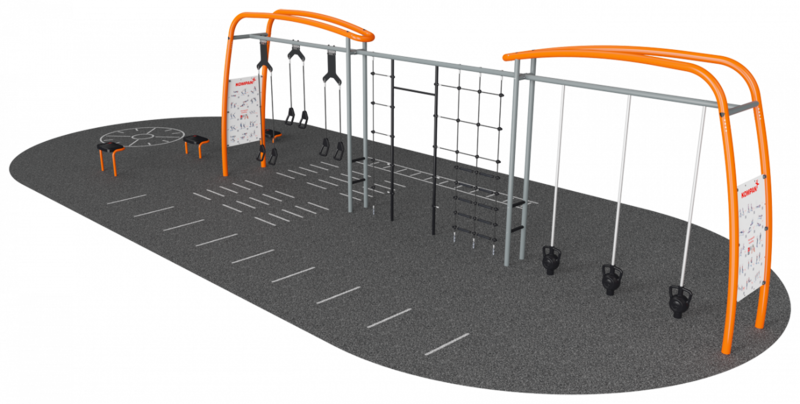 This location offers familiar training known from indoor gyms, where users can train with products like suspension trainers and kettle bells in a safe and vandalism proof environment.